Mailers are accustomed to postage rate increases in January, and the updates for 2018 followed a familiar pattern. Besides the rate increases, the US Postal Service is updating elements of the postal system. Industry analysts expect more developments soon. Mailers need to stay informed as the mailing business becomes increasingly driven by technology and data. Neglecting to keep up on postal developments can result in missed opportunities and unnecessary costs. US law mandates the US Postal Service keep rate increases in line with the Consumer Price Index (CPI) for market-dominant products like First Class letters and Marketing Mail. The law allows more pricing flexibility for parcel shipping services where the USPS competes with private carriers. The CPI price cap keeps rate increases within a definable range, but that doesn’t mean the USPS assigns identical percentage increases across the board. Rate changes for individual classes and presort levels will vary with this latest price adjustment. Postage for Commercial First Class Letters increased from .2% to 1.3%. Some presort rates for postcards are unchanged while others increased up to 1.6%. The biggest changes for First Class are in Flats, where the USPS has lowered many prices, but postage for 5-digit presort flats increased by 6.3%. The USPS raised the weight limit on letters to 3.5 ounces in 2017. Flats mailers would be smart to convert their lighter-weight flats into letters, realizing a significant postage saving. 2018 postage for Marketing Mail is relatively unchanged for letters, but Marketing Mail Flats at all levels increased by up to 8.7%. Non-Profit Letter postage rose between .6% and 3.2% while some Non-Profit Flat rates increased and others decreased. Parcel shipping costs also changed with the latest rate case. 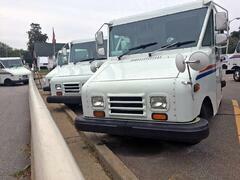 Priority Mail Commercial rates increased, with some rates rising by as much as 10%. Flat Rate products suffered the greatest increases. Retail prices also increased, but not as dramatically. Commercial postage rates for Priority Mail are still lower than their Retail counterparts. Mailers who took advantage of postage savings associated with USPS promotional programs in past years should not plan for incentives in 2018. The body that approves promotional programs is the USPS Board of Governors, which currently has no members. Seats on the board are presidential nominees confirmed by Congress. Political maneuvering resulted in no board members being approved during the previous administration. President Trump has nominated three governors, but none has been confirmed so far. Promotions for 2018 are unlikely. Besides postage rate changes, 2018 brings about a new way for the US Postal Service to monitor mailer compliance with move update rules. Under the old system, based on the Mail Evaluation Readability Lookup Instrument (MERLIN) machines, the Postal Service checked only a sample of each mailing. If MERLIN found too many uncorrected addresses, then the Postal Service levied a fine based on the entire mailing. Now, the USPS is using technology built into the Intelligent Mail barcodes, enabling them to check every piece sent by a mailer. Known as the census method, the new compliance thresholds are much lower than before at .5%, per calendar month. The fine has increased to 8 cents per non-compliant piece. Mailers who neglect to keep their address lists current but have gotten by because of MERLIN’s small sample sizes and 30% tolerance threshold, may learn they are suddenly paying postal fines. Mailer Scorecards tell each mailer how their jobs are performing against the standard. By frequently monitoring statistics reported on their Mailer Scorecards, mailers can mitigate the impact of move update compliance violations and make adjustments before the end of the month. The way commercial mailers pay for postage and services is also changing. The Postal Service is replacing the familiar Centralized Account Processing System (CAPS) with the new Enterprise Payment System (EPS). Mailers will be allowed to maintain both CAPS and EPS accounts during a transition period until the USPS retires the CAPS system. Besides connecting the payment platform to the Postal One! mail submission software, mailers will benefit from the new EPS system by making deposits into their accounts at any USPS retail location or through electronic check capture. The US Postal Service has replaced IMb Tracing, the facility for tracking mail as it moves through the USPS delivery network, with Informed Visibility (IV). Transition to the new system has been anything but smooth, with several delays and missed deadlines. However, the USPS has remained dedicated to rolling out Informed Visibility and is now providing mailers with more data in near real time. Mailers complained about delayed data delivery with IMb Tracing. Tracking data sometimes arrived only after the mail was delivered. Informed Visibility will correct this deficiency, allowing mailers to make better decisions about lead times and in-home dates, and coordinating email delivery with physical mail delivery. Far from being a passive or archaic medium, mail continues to change with the times. Similar to every other business, data is the key. Intelligent Mail barcodes, seamless acceptance, and other innovations by the US Postal Service are keeping mail current and relevant for American consumers and businesses that rely on the mail every day.